This specimen is 14 mm. 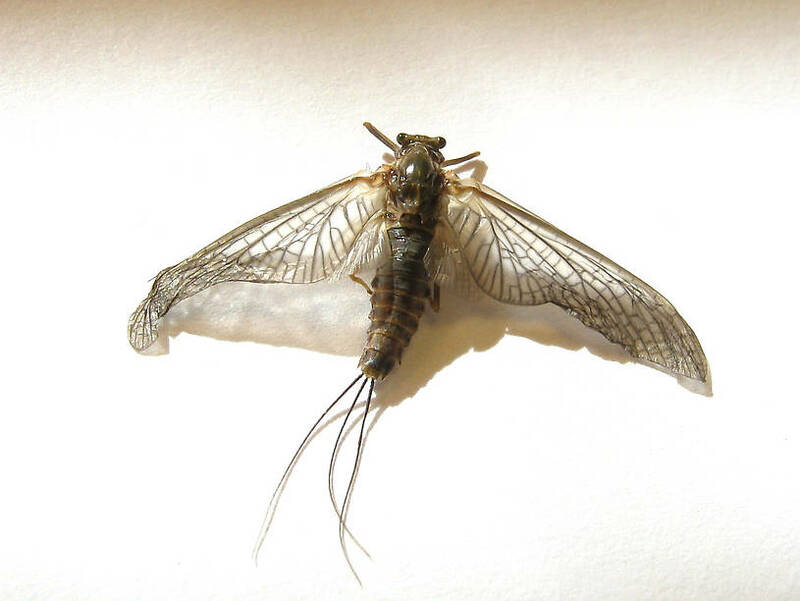 Technically this is the subspecies (Subspecies: Entomologists sometimes further divide a species into distinct groups called subspecies, which have two lower-case words on the end of their scientific name instead of one. The latter is the sub-species name. For example, Maccaffertium mexicanum mexicanum and Maccaffertium mexicanum integrum are two different subspecies of Maccaffertium mexicanum.) T. h. hecuba. 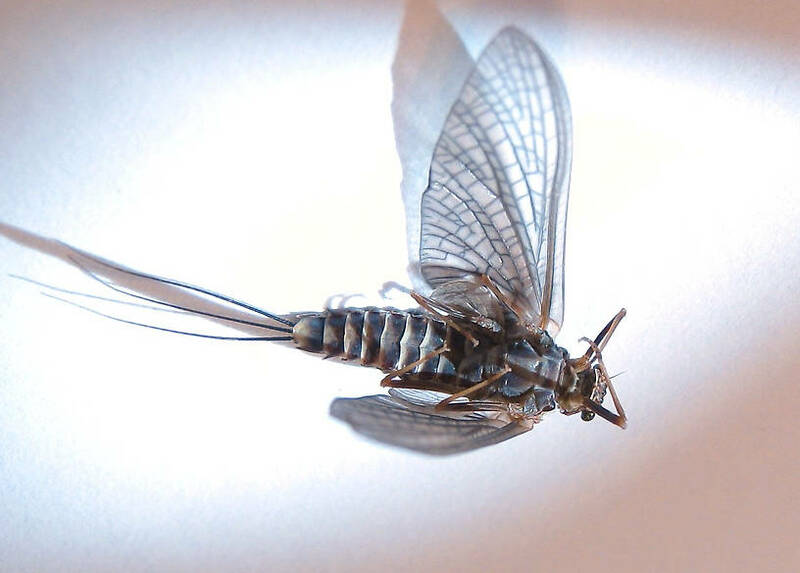 The Cascades, Sierras and further West is where the other subspecies (Subspecies: Entomologists sometimes further divide a species into distinct groups called subspecies, which have two lower-case words on the end of their scientific name instead of one. The latter is the sub-species name. For example, Maccaffertium mexicanum mexicanum and Maccaffertium mexicanum integrum are two different subspecies of Maccaffertium mexicanum. ), T. h. pacifica is found. The Great Basin seems to have formed a barrier preventing any overlap in their distribution. 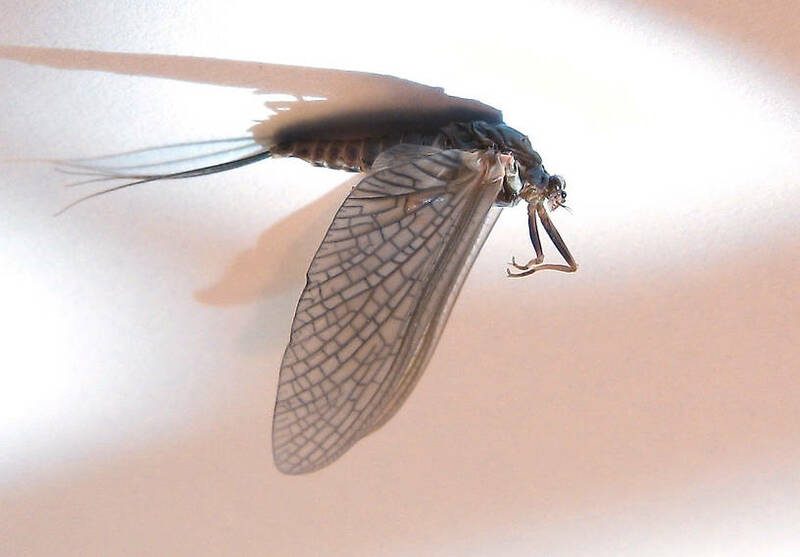 This mayfly was collected from Mystery Creek #178 on September 15th, 2013 and added to Troutnut.com on September 23rd, 2013. This critter provided some excellent fishing a little after lunch the day this specimen was collected. They seem to be very delicate in handling as it expired inverted in the fly box while setting up for the photos. On this particular day the duns were up and away with little if any time spent on the water. The fish were feeding on ascending nymphs well below the surface. The hatch was a perfect fishing density and the fish were glutted with these large guys. To the naked eye they appeared chocolate brown with tan rings. The wings were a med. dun. Notice how stout their tapered abdomens are... Real chunks of protein!